The year was 1990, and a young Slater was exploding onto the surf scene with a statement-making victory at the Body Glove Surf Bout at Lower Trestles. Signing a record-breaking contract with surf-wear company Quiksilver on the beach, Slater and his crew—dubbed the “Momentum Generation”—were on the cusp of changing the sport of surfing forever. 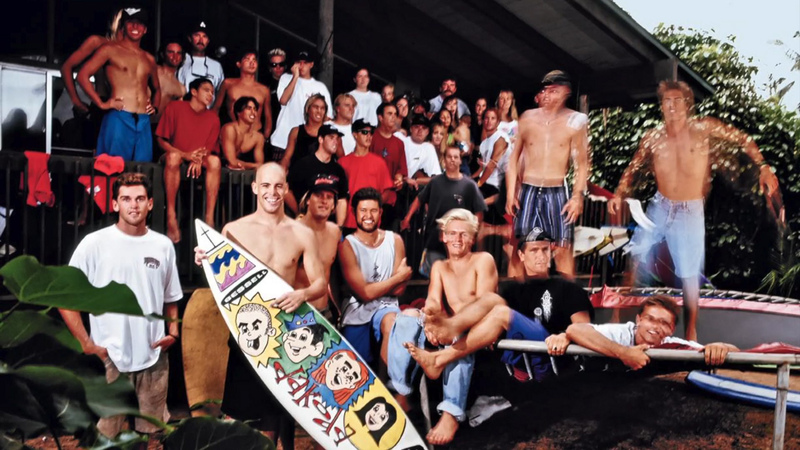 But predating that famous Lowers performance, during the winter of ’89, Slater, Rob Machado, Shane Dorian, Kalani Robb, Ross Williams and a handful of other characters all lived under one roof on the North Shore of Oahu. San Diego surfer Benji Weatherly’s mom had rented a house right on the beach at Pipeline and opened the doors to her son’s friends. A huge cog in the wheel of this success was the timing of a young filmmaker from San Diego named Taylor Steele. In ’92, Steele cobbled the footage together, got the OK from a few of his favorite punk bands to use their driving, up-tempo music as a soundtrack, and released Momentum on VHS. His parents practically laughed him out of the house—until he sold out of copies. The film was an instant success. The story of how it all went down is now being told in a full-length documentary produced by HBO and Universal Pictures, with executive producer credits going to the one and only Robert Redford. The movie premiered in Santa Monica on Nov. 8 and will debut on HBO at 7 p.m. PST on Dec. 11. Momentum Generation is an intriguing dive behind the scenes of how a few kids from Florida, Hawaii and California were able to turn the sport of surfing on its collective head. Somehow, they were all on hand to share in the moment. “Benji suggested we all dress as Reservoir Dogs, but it is kind of a miracle we’re all in suits,” laughed Steele. “It was this time in our lives where things were moving and naturally changing. It was really exciting. We were all at Benji’s house and it was the focal point where we all came together and grew up together,” added Slater. In their heyday, the Momentum crew was notoriously squeaky clean. It was seemingly all good vibes and high fives, but as the surfers came of age and there was more at stake in their professional careers—money and world titles on the line—covert rivalries brewed and tensions sometimes flared. 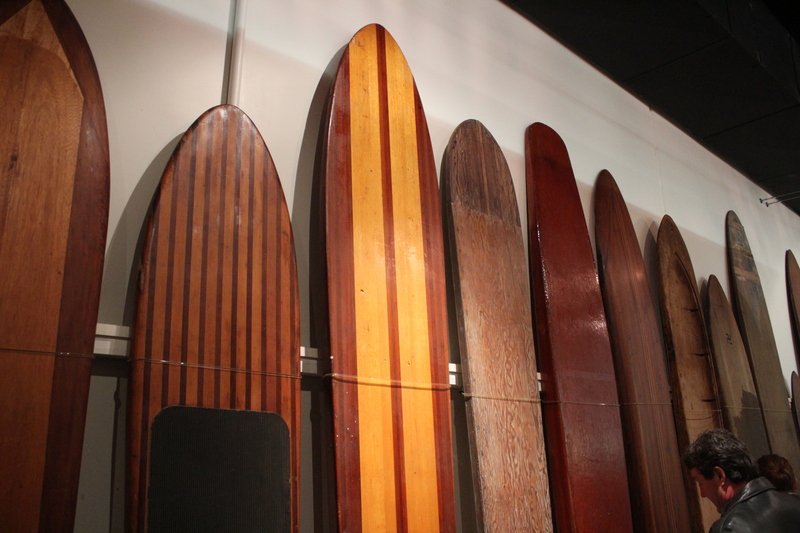 The idea for the project began six years ago, after Steele put together a reunion trip to the Mentawai Islands for the original Momentum crew. When they got back home, Machado and his long-time manager, Justine Chiara, came up with the concept for the documentary.